These Terms And Conditions (“Terms & Conditions” OR “Terms Of Service And Conditions” OR “T&C” OR the “Agreement”) state important requirements regarding your use of iGeekTeam LLC (Henceforward the “company”, “our”, “we”, “us”) website, iGeekTeam LLC’s services (the “services”) and your relationship with iGeekTeam LLC. Use of iGeekTeam LLC or www.igeekteam.com is an agreement to all T&C outlined. iGeekTeam LLC reserves the right to amend the T&C. Amendments will be active once posted and will be made public in Terms And Conditions. You (“you” OR “user”) should read these Terms and Conditions carefully as they contain important information and instructions such as the services tenure, fees or early termination, our rights to change its conditions, limitations of liability, privacy, settlement of disputes by arbitration instead of in court and class action waiver. These T&C constitute the entire agreement between you and iGeekTeam LLC. In addition, this agreement supersedes all previous agreements in respect of your use of www.igeekteam.com or the services and your relationship with iGeekTeam LLC. Before you click on the “I Accept” or “I Agree” checkbox, or otherwise indicate assent for continuing to use the services, please read and review this Agreement carefully as it sets forth the important terms and conditions regarding your use of the services and company’s obligation to provide the services to you. Using Our services or www.igeekteam.com indicates that you have read and accepted these Terms And Conditions and any subsequent amendments. In order to register for the services, you acknowledge that you have agreed to all the terms of this Agreement and that you have agreed to become a party to, and be legally bound by, this Agreement. If you disagree with these Terms and Conditions, or any part of these Terms and Conditions, you must not use our website or Our services. If you accept this agreement, it will apply to all services purchased from us, including all your existing services. Your acceptance of these terms and conditions will be implied by the use of our services. Represent and warrant that you are not located in a country that is subject to a U.S. Government embargo, or that has been designated by the U.S. Government as a “terrorist supporting” country and that you are not a person who is either barred or otherwise legally prohibited from receiving or using the services under the laws of the country in which you are resident or from which you access or use the services. “You” or “you” means you individually, any person, including any employer or business entity that you are acting on behalf of. “igeekteam.com” Or www.igeekteam.com – All references of igeekteam.com or www.igeekteam.com refer to iGeekTeam LLC. “igeekteam.com experts” Or “experts” means IT consultants, managers, designers, developers and specialists certified by company to perform the services under this Agreement. “Content” means Software, Materials, Services and other related information; collectively. “Services” are Graphic Design Services, Development Services, Internet Marketing Services, Milestone-Based-Services, Managed IT Services provided by igeekteam.com to you. All references to “Services” Or “Service” refer to any company service delivered by our experts, under the service that you enter into with Company through use of the company website(s), by calling company’s phone number mentioned on igeekteam.com website or meeting in-person with company’s experts. 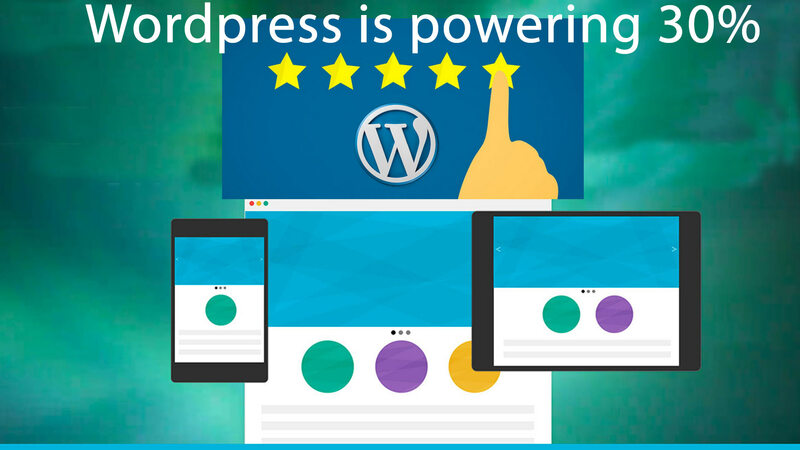 “Our Websites” include https://igeekteam.com and/or any other iGeekTeam LLC owned, operated, licensed or controlled website or any other website owned, operated, licensed or controlled by reseller of our services. “Software” means a computer program of any kind, whether owned by Company or a third party, whether delivered via download, CD, other media, or other delivery method, including client and/or network security software. Elements of the Software are protected under copyright, trade secret, unfair competition, and other laws. Software includes Company Software as well as the third party Software. Your use of Software is subject to the respective agreements such as a license agreement or user agreement that accompanies or is included with the Software, ordering documents, exhibits, and other terms and conditions that apply (“License Terms”). “Materials” means any web casts, download areas, white papers, press releases, datasheets, FAQs, product information, quick reference guides, or other works of any kind that are made available to download from www.igeekteam.com. The definition of “Materials” does not include the design or layout of igeekteam.com website or any other company owned, operated, licensed or controlled website. Subject to the terms and conditions set forth herein and the specifics of each Service, Company provides Managed IT and Graphic Design Services, to consumers of personal electronics, via telephone, on-line chats, and email. The products that are supported by Company (the “Supported Products”) and the Services are described in detail on the igeekteam.com website. Services will be provided by Company’s experts (“Experts”), using commercially reasonable efforts to solve problems that arise in connection with User’s proper and authorized use of the Supported Products. Company may, but has no obligation to, monitor and record the Services, including telephone calls and online sessions for purposes of improving customer service, internal training and internal market research. You hereby grant permission to Company to monitor and record the Services and to use or disclose any information as necessary or appropriate to satisfy any law, regulation or other governmental request; to provide the Services to You or other users; to protect ourselves and/or other users; and to enhance the types of Services we may provide to You in the future. You also grant Company permission to combine Your information with that of others in a way that does not identify You or any individual personally to improve the Services, for training, for marketing and promotional purposes, and for other business purposes. b) In the course of providing the services, company may determine that the issue is beyond the scope of the services. 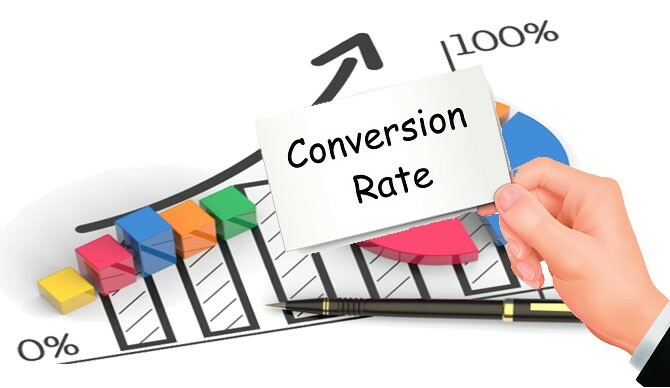 Company may use commercially reasonable efforts to refer you to the appropriate alternative resource; however, company will not transfer you directly to an alternate resource. c) You may not modify, copy, distribute, transmit, display, perform, reproduce, publish, license, create derivative works from, transfer, or sell any information, software, products or services obtained through the Services. d) Refund And Cancellation Policy: We operate in a very simple way — we are confident you will be completely satisfied with the service you received, incase if you aren’t satisfied, we will refund 100% of your fee payment, within the first 7 days of your payment or your final milestone payment! No runarounds. No hassles. If for any reason you are not satisfied with the service provided, we highly recommend giving us an opportunity to make it right. You can provide your feedback using the form provided on our Contact page or feel free to call us at 1-949-529-1466. We will go that extra mile for you to make sure you’re pleased with the service you received. Requesting A Refund: If you are still dissatisfied with our service, you may request a full refund within 7 days, from the date of purchase of Service, by sending us an email at support@igeekteam.com Please be sure to mention your Order Number and use the same email address which is linked to your Order Number. Alternatively, you could also call us at 1-949-529-1466 (during our working hours as mentioned here) and request a refund, within the first 7 days of your purchase. We will be happy to offer a full refund within the first 7 days of your purchase and cancel your services with us. Refunds are subject to our website’s full terms and conditions. Refunds are allowed only within the first 7 days of your purchase. If 7 days have gone by since your purchase, unfortunately we can’t offer you a refund. By clicking on the “I accept” or “I agree” button, or by your use of the services, you are deemed to have accepted and consented to be bound by these terms. (ii) Fraudulently allowing persons other than User to access the services using Your Password. In the event of such termination or suspension, You will not be entitled to a refund of any prepaid Monthly Fees. f) If Expert works with you on any password or other access control oriented problems, we strongly recommend that you reset such passwords(s) immediately following the completion of the services. You hereby authorize company to charge the credit/debit card that you provide or other valid payment mechanism requested by you and approved by company at registration for the fee associated with your service(s) or the service as specified in your purchase form and the type of service chosen by You. Unless otherwise agreed by company in writing, all payments for the services must be made at the time of purchase prior to receiving any services from Company. You agree that company is under no obligation to pay to render services if the payment for services, as required, hasn’t been made. Purchases of the services made by you from a Reseller/Vendor will be subject to terms of sale of the Reseller/Vendor. You hereby authorize company to charge and/or place a hold on your credit card with respect to any unpaid charges for services or any related equipment. You authorize the issuer of the credit card to pay any amounts described herein without requiring a signed receipt, and you agree that these charges are to be accepted as authorization to the issuer of the credit card to pay any amounts described herein without requiring a signed receipt, and you agree that these charges are to be accepted as authorization to the issuer of the credit card to pay all such amounts. You authorize company and/or any other company who bills products or services, or acts as billing agent for company to continue to attempt to charge and/ or place holds with respect to all sums described herein, or any portion thereof, to your credit card until such amounts are paid in full. You acknowledge and agree that neither company nor any of our affiliated companies will have any liability whatsoever for any non-sufficient funds or other charges incurred by you as a result of such attempts to charge, and/or place holds on, your credit card. If you provide a debit card number, instead of a credit card number, you authorize all charges described herein to be applied to such debit card unless and until you provide a credit card number. When payment is made by a credit card or debit card, payment will also be subject to the terms and conditions established by the credit or debit card issuer. For service renewals or any recurring payments, you must notify company of any changes to your credit or debit card account (including, without limitation, applicable account number or cancellation or expiration of the account), your billing address, or any information that may prohibit company from charging your account. A Term under the Annual Maintenance does NOT automatically renew and ends at the end of the applicable period. If company is unable to collect the Fee from your credit or debit card, company shall provide you with written notice or an email of such non-payment and may, at company’s option, extend the payment deadline to allow you to provide an alternate credit card number. Failure to make any payment as set forth herein shall be deemed to be a material breach of this Agreement and shall be sufficient cause for the immediate termination of this Agreement by company. In the event of collection enforcement, you will be liable for any costs associated with such collection, including, without limitation, reasonable attorneys’ fees, court costs and collection agency fees. All charges shall be exclusive of any applicable taxes. You are responsible for the payment of all federal, state, and local sales, use, value added, excise, duty and any other applicable taxes, other than taxes based on Company’s net income. (a) Term: Unless earlier terminated pursuant to the provisions of this Section 7, this Agreement shall be effective upon registration and remain in effect for the term (the “Term”) you selected at registration. Upon expiration of the term, your term to the services shall NOT automatically renew. (1) You are in breach of This Agreement (including but not limited to all policies regarding abuse and acceptable use of the Service) or any license for TPS. (2) Your use of the services is prohibited by law or is disruptive to, adversely impacts or causes a malfunction to the service, Igeekteam.com’s network, or the use and enjoyment of other Igeekteam.com Users. (4) Company determines that you are abusing the services. Company shall incur no liability resulting from terminating or suspending services to user. Your use of the services is subject to all applicable local, state, national and international laws and regulations. In addition, your use of the services is subject to company’s “fair use” policy pursuant to which Company may suspend or terminate your services with us if, in company’s sole discretion, you are abusing the services. You are solely responsible for the contents of your transmissions through the services. User agrees that the use of the services is at user’s sole risk and that the services are provided on an “AS IS” and “AS AVAILABLE BASIS”. The Services may not always be available in your time zone or geographic location. Company makes no express or implied warranties or representations with respect to the services (including without limitation, warranties of fitness, merchantability, non-infringement, or any implied warranties arising out of course of performance, dealing or trade usage). Company does not warrant that the services will meet your requirements, or that the services will be uninterrupted, timely, secure, error or virus free; nor does company makes any warranty as to the results that may be obtained from the use of the services or as to the accuracy or reliability of any information obtained through the services. To the extent permitted by applicable law, Company reserves the right to refuse, suspend or terminate any of the services in its sole discretion. Company provides no remedies for any loss of data resulting from use of the services and assumes no responsibility for the timeliness, deletion, non-delivery or failure to store any of your communications, data, or personalization settings. You understand and agree that any material and/or data downloaded or otherwise obtained through the use of the services is done at your own discretion and risk and that you will be solely responsible for any damage to a computer system or loss of data that results from the download of such material and/or data. b. the information on this website is complete, true, accurate or non-misleading. Neither company, nor its parents, subsidiaries, affiliates, officers or employees shall be liable for any indirect, incidental, special or consequential damages, resulting from or concerning the use or the inability to use of the services or INCLUDING WITHOUT LIMITATION DAMAGES FOR LOSS OF PROFITS, Data or other intangibles, In any manner, however caused and on any theory of liability, EVEN IF SUCH PARTY HAS BEEN ADVISED OF THE POSSIBILITY OF SUCH DAMAGES. You acknowledge and agree that company or its referral partners have no responsibility or liability under any circumstance at any time for any loss or corruption of customer data, software or hardware that may arise out of the services. Please ensure that you have a licensed copy of all necessary software. You accept that, as a limited liability entity, IGEEKTEAM LLC has an interest in limiting the personal liability of its managing members, officers and employees. You agree that you will not bring any claim personally against company’s managing members, officers or employees with respect to any losses you suffer in connection with the website/services. Without prejudice to the foregoing paragraph, you agree that the limitations of warranties and liability set out in this website disclaimer & Terms And Conditions will protect company’s managing members, officers, employees, agents, subsidiaries, successors, assigns and sub-contractors as well as igeekteam.com. In no event shall the total and aggregate liability of company for any cause of action related to or arising under this Agreement exceed the greater of the price you paid for the services or five hundred dollars (U.S. $500.00) or equivalent amount in the applicable currency. Your sole and exclusive remedy under this Agreement is to discontinue the use of the Services. Any cause of action by you must be commenced within three months after the cause of action arose or it shall be forever waived and barred. You agree to immediately notify company of and indemnify and undertake to keep igeekteam.com, its parents, subsidiaries, affiliates, officers, managing members and employees, harmless against any claim or demand, including reasonable attorneys’ fees, made by any third party due to or arising out of your use of the services, (including the unauthorized use of your account or any other breach of security known to you), the violation of this Agreement by you, or the infringement by you, or another user using your computer, on any intellectual property or other right of any person or entity. You will cooperate as fully as reasonably required in company’s defense of any claim. Company reserves the right, at its own expense, to assume the exclusive defense and control of any matter otherwise subject to indemnification by you and you shall not in any event settle any matter without the written consent of Company. Any clause or provision in these Terms And Conditions that is found to be invalid, unlawful and/or unenforceable by a competent authority, shall be deemed deleted and the remainder of these Terms And Conditions shall not be affected by that deletion. Company’s failure to enforce any provision of the Terms And Conditions shall not be deemed a waiver of such provision nor of the right to enforce such provision. By using this website and/or agreeing to these terms and conditions, you agree that the exclusions and limitations of liability set out in this agreement are reasonable. If you do not think they are reasonable, you must not use this website or agree to these terms and conditions. Without prejudice to company’s other rights under these terms and conditions, if you breach these terms and conditions in any way, company may take such action as it deems appropriate to deal with the breach, including but not limited to suspending your access to the website/services, prohibiting you from accessing the website, and/or legal action. If any provision of this website’s disclaimer or terms and conditions is, or is found to be, unenforceable under applicable law, that will not affect the enforceability of the other provisions of this website’s disclaimer or terms and conditions. You grant to company a worldwide, irrevocable, non-exclusive, royalty-free license to use, reproduce, adapt, publish, translate and distribute your user content in any existing or future media. You also grant to company the right to sub-license these rights, and the right to bring an action for infringement of these rights. Your user content must not be illegal or unlawful, must not infringe any third party’s legal rights, and must not be capable of giving rise to legal action whether against you or igeekteam.com or Company or a third party (in each case under any applicable law). You must not submit any user content to our website that is or has ever been the subject of any threatened or actual legal proceedings or other similar complaint(s). We reserve the right to edit or remove any material submitted to our website, or stored on igeekteam.com’s servers, or hosted or published upon igeekteam.com. Notwithstanding igeekteam.com’s or company’s rights under these terms and conditions in relation to user content, company does not undertake to monitor the submission of such content to, or the publication of such content on, this website. The services, including, without limitation, any of Igeekteam.com or its licensors’ Internet operations, design, content, hardware designs, algorithms, software (in source and object forms), user interface designs, other templates and designs, algorithms, architecture, class libraries, and documentation (both printed and electronic), know-how, good will, moral rights, trade secrets and any related intellectual property rights throughout the world, and any derivative works, improvements, modifications, enhancements or extensions thereof shall remain the sole and exclusive property of Igeekteam.com Or company and its licensors, and you shall have no interest in them whatsoever. Posting a revised version of the Terms And Conditions or a revised description of the services on the Igeekteam.com website. 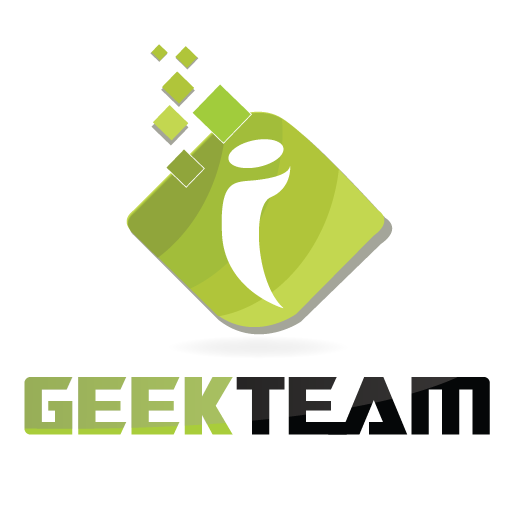 You are responsible for regularly reviewing the Igeekteam.com website to be notified of any amendments to the Terms and Conditions or the Services. Your use of the Services after an amendment to the Terms and Conditions shall be deemed acceptance by you of such amendments or modifications. Company may transfer, sub-contract or otherwise deal with company’s rights and/or obligations under these terms and conditions without notifying you or obtaining your consent. You acknowledge that the services, and related technical data and services (collectively “Controlled Technology”) may be subject to the import and export laws of the United States, specifically the U.S. Export Administration Regulations (EAR), and the laws of any country where Controlled Technology is imported or re-exported. You agree to comply with all relevant laws and will not export any Controlled Technology in contravention to U.S. law nor to any prohibited country, entity, or person for which an export license or other governmental approval is required. All igeekteam.com Or company products are prohibited for export or re-export to any country subject to relevant trade sanctions. You hereby agree that you will not export or sell any Controlled Technology for use in connection with chemical, biological, or nuclear weapons, or missiles, drones or space launch vehicles capable of delivering such weapons. 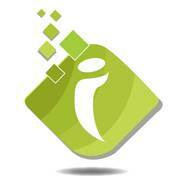 Our Refund And Cancellation Policy applies only to Managed IT, Graphic Design and Digital Marketing . For services other than “Managed IT, Graphic Design and Digital Marketing Services”, we do not offer any Refund & Cancellation Policy. Please see item number 4(d) in these Terms And Conditions for more information on the Refund And Cancellation Policy for Managed IT, Graphic Design and Digital Marketing Services. Unless otherwise provided herein, notices given by Igeekteam.com Or company to you will be sent via e-mail to the e-mail address you provided to Igeekteam.com as part of the registration process, or to the updated addresses which you provide to company via notice consistent with this paragraph. Notices given by you to company must be given by e-mail to support@igeekteam.com or such updated address and number as company may provide you consistently with this notice provision. Notwithstanding anything herein to the contrary, it is your sole responsibility to update your address for notices hereunder, and notice sent to the e-mail last provided by you to company shall be valid and binding on you regardless of whether such address has been changed, cancelled, has expired, has been terminated, or otherwise becomes inoperative. We operate between the hours of 8 a.m. and 6 p.m. pacific time Monday through Friday. Actual hours of operation may vary due to holidays. Please refer here for our updated hours of operation. Since, we don’t have an option to edit the chat, after its being sent from our chat support representative, we apologize in advance for any typing errors occurred during chat. Just like any other services company, we try to monitor the chats, however, typing errors can always happen. A common example of typing error would be repetitive letters keyed in just because the Computer keyboard was stuck on a particular letter. For any questions, complaints, suggestions related to our live chat, please feel free to email us at support@igeekteam.com Or use the contact-us form available at our Contact webpage. We take all the feedback sincerely and would really appreciate any effort in improving our live chat interactions. If You don’t agree with Our Terms And Conditions, please do not use Our Live Chat service or reply to any chat session initiated by Our Chat Support Representative.